The intent of this website is for its sections to be repositories of information that encourage comments, additions, and alternative opinions. 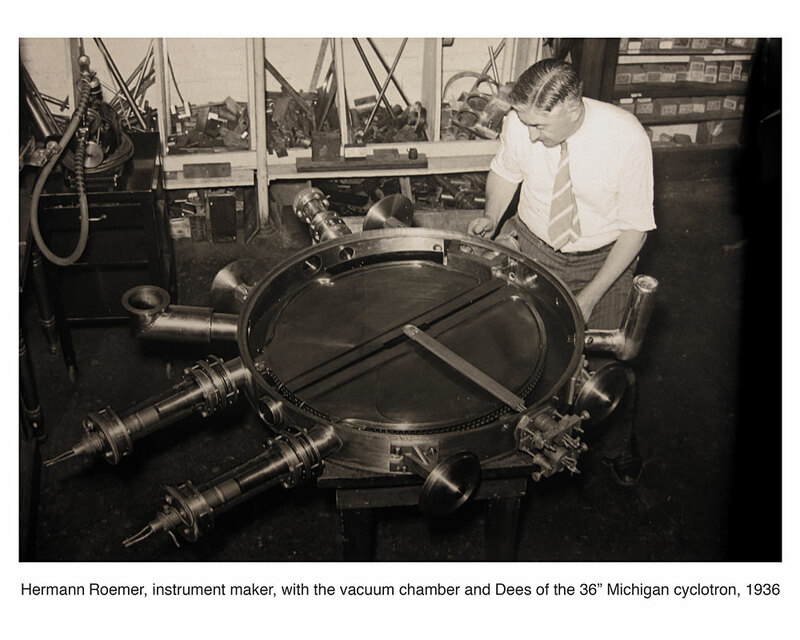 As such, its organization may not be optimum for the reader but it can at least serve as a source for a more carefully developed history of Michigan’s Physics Department. 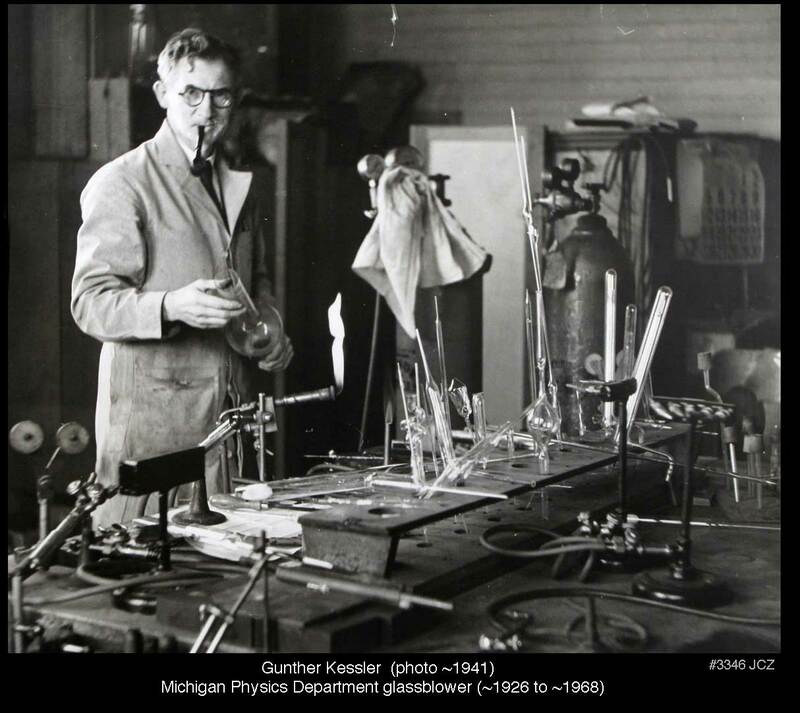 This section of MichiganPhysics is an archive of historical items related to the Physics Instrument Shop, a facility dating from the end of the 19th century that existed as a unit within the physics department until 2010. This shop had a rich history; it built research apparatus ranging from small, precise optical instruments to the large components of high energy accelerators. The shop was an indispensable part of the research done in the times when physicists built much of their own research apparatus, but the role of such shops has changed in the recent past, and it is the purpose of this section to capture the history of that change. 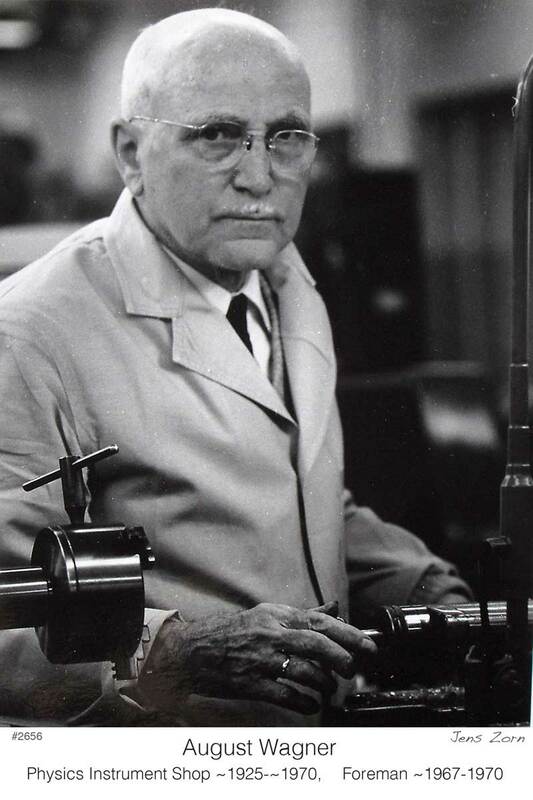 In the decades 1950-1970 the shop fully utilized as many as ten machinists and instrument makers, but by 2000 most physics research projects bought much of their apparatus from commercial vendors; over the following years the physics shop staff shrunk to five, and finally, with the retirement of shop supervisor Ted Webster, the shop staff comprised three individuals: the two instrument makers Dave Carter and Jim Tice along with the student shop supervisor Julian Broad. 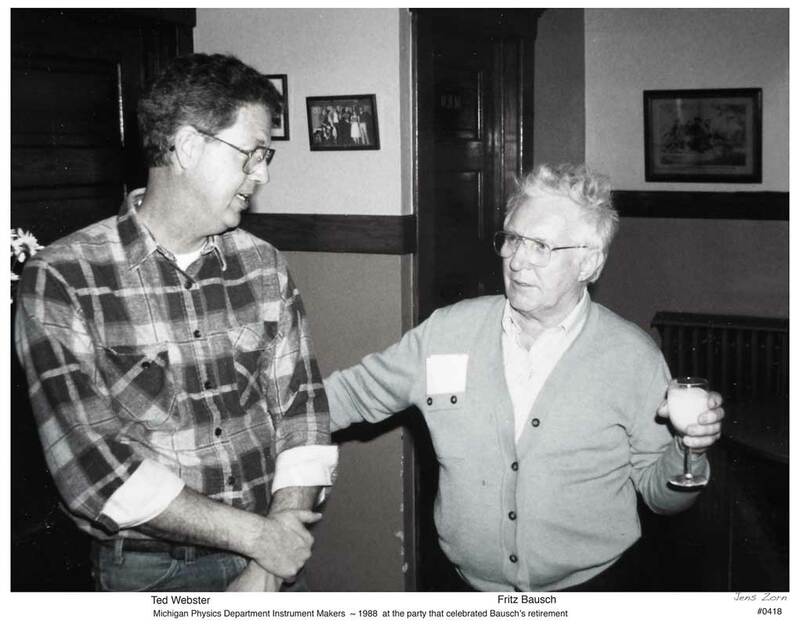 Similar issues affected the Chemistry Department Shop that was facing the retirement of its supervisor Al Wilson and instrument maker Kim Firestone, while George Johnston and Steve Donajkowski were planning to remain. The Astronomy Department’s technician, Scott Webster, was affected by the upcoming move of his department to another building. In 2010 the University Administration, after deliberation and with consultation, decided that future research within the entire College of Literature, Science and the Arts would be better served by unifying the Physics, Chemistry and Astronomy resources to create a Scientific Machine Shop under collegiate administration. The existing Physics shop area in the Randall was cleared of obsolete machines and otherwise renovated to make room for the best of the machine tools from Chemistry. Older milling machines were fitted with CNC drives. Michael Folts, newly hired to be the supervisor of the unified shop, oversaw the acquisition of a 3-Axis CNC mill and a modern CNC lathe. Several of the machines that were deemed surplus to the new shop trickled down to replace much older machines in the student shop. with the new arrangment shown below in which milling machines predominate. 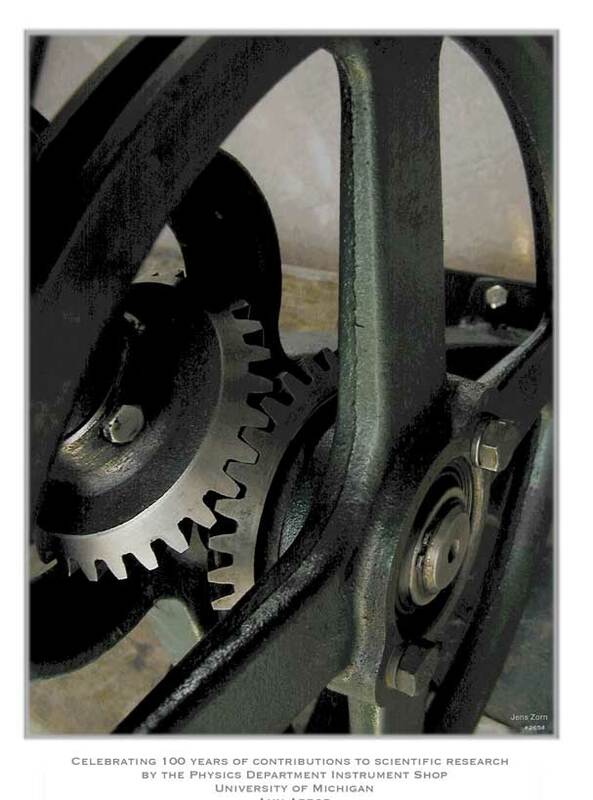 The computer control retrofitted to these Bridgeport mills enable one to machine circular flanges, o-ring grooves, and bolt circles quite easily, tasks that were formerly done on lathes. Gunther Kessler, 1926-1965(? ), our last glassblower in physics. Ted Webster 1975? (in ~ 1980 followed Halloway as head of shop) retired 2004? Jens, great photo of August Wagner. If I remember correctly after Kessler retired as glassblower a young and very talented man did glassblowing in the first basement of Randal Lab. I don’t recall his name.